How to Be Responsible to the Environment with Green traveling is about adopting green practices to reduce the circulation of chemicals like carbon and plastics, which can destroy the environment. If you practice green at home, you should also carry on your practices when you are traveling abroad. Doing so allows you to contribute your part to the environment by reducing your carbon footprint. When commuting around the city, you should try to avoid taking transportation that emit carbon dioxide such as bus, taxi cab, and motorbike and rental cars. Instead, use a transportation that move without releasing carbon dioxide emission like the tram, or bicycle to save energy. It is also more convenient to travel on bicycle in a big city where traffic jam frequently occurs. When you are thirsty, buy a large bottle of water, the one that is 10L. In this way, you can keep refilling your flask with water for several days without having to buy the smaller plastic bottled water that is 1.5L. Alternatively, you can boil water in the hotel to avoid buying plastic bottled water. You can check and see if your hotel has any recycling program. If they do not have any recycling program, you can take your wastes to dispose it in the nearby recycle bin. When recycling, always look at the label on the recycle bin to see what type of wastes you should put in. For example, you should only put in plastic wastes in a recycle bin for plastic. When shopping, always look for products that are made from recycled materials. Your purchase is also creating a demand for recycled programs which will prevent those materials from being sent to the landfill. It will help to conserve space from the landfill and prevent it from becoming full. Landfills that are full and overloaded with rubbish can become contagious and spread germs to the surrounding environment. In the hotel room, there are usually a lot of lights such as bedside lamps, light above the desk, bathroom light and light above the TV. You should only turn on the lights that you use. Before leaving the hotel room, turn off all lights to conserve the energy. Many modern hotels nowadays will automatically switch off the lights when you remove the card from the insert card for power holder. When taking a bath at the hotel, try to shower fast to avoid wasting water. When brushing teeth, turn off the tap and only open it again when you want to gargle your mouth. When you are scrubbing your hands with soap, turn the tap off. Once you are done soaping your hand, turn the tap on to wash away the soap. When washing fruits, wash it in a pan of water instead of under running tap water. Many online flight booking system let people use electronic tickets to travel. The ticket is downloaded from the internet onto the phone. Using electronic tickets is better than using print tickets as you are helping to save paper. Paper is made from tree and reducing the use of paper will help to reduce the number of trees being cut down. If you are visiting countries that use plastic bags, make sure to always carry an eco-friendly shopping bag with you. You can put all the stuff you buy into the eco-friendly shopping bag instead of using the plastic bags they provide. It can usually be purchased at the shopping mall if you did not have one. A common sense to be green is to avoid throwing rubbish on everywhere you go. Instead, look around and see if you can find any public trash can to throw the rubbish. Littering can produce a bad impact on the area – they make the place look dirty and create health hazard for other tourists. Animals can accidentally eat them and die as a result of intestine blockage. You may be thinking of using a camcorder to record the attractions so that you can see them again when you return home. If you decide to bring your camcorder, don’t forget to also bring a solar charger. Your camcorder will be out of battery when you keep using it to record video of the attraction’s scenery. With a solar charge, all you need is the sun to charge your camcorder to full power. Raw video footage is always large so consider compressing it into a small format like MP4 with a video converter like Movavi Video Converter. 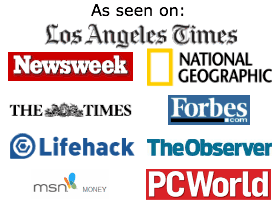 The software is designed with an easy interface and you will know how to compress a video without reading a tutorial. You can opt to stay in a green hotel that use renewable resources. 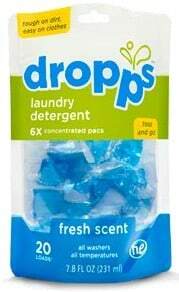 All their cleaning products are made from green materials. They also have options for guests who prefer not to change their bed sheets every day. There are various types of certification programs that certified a green hotel such as LEED certified, Green Key Global, and Green Seal. 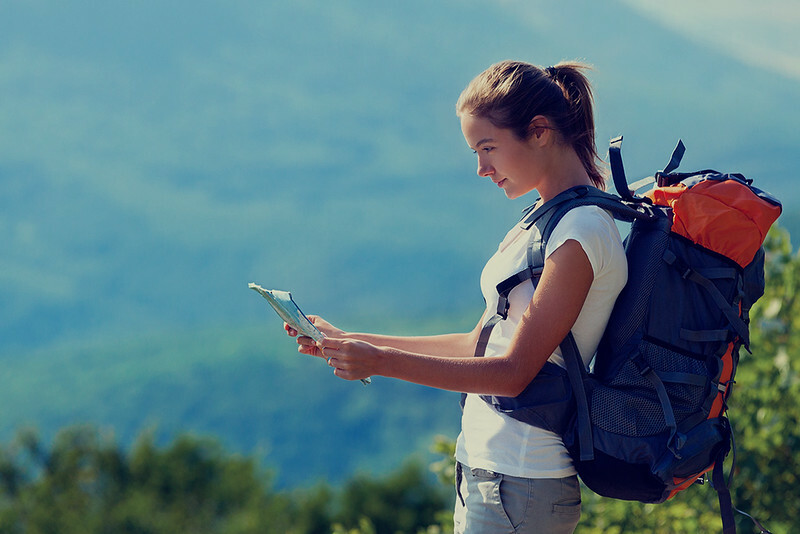 If you are joining a tour, you might want to opt for a green tour company. The green tour company can introduce you to green products during the trip. They will help the tourists to contribute to the environment during the travel. Green tour companies respect the flora/fauna and promote ethical practices. When hungry, you should visit the local restaurants to taste their cuisine and help in reducing carbon footprint at the same time. When searching for a restaurant, look for one that uses local produce to cook the dishes. If you are someone who is casual, you can opt to eat your meals in the mom-and-pop-style restaurant. When picking the food, don’t choose a recipe that is made with endangered species animal. More and more individuals are starting environmentally friendly living, and thankfully, businesses and governments the world over have followed suit as well. Alternative sources of energy like hydro, solar panels, and wind turbines are all being developed and operated. Lifestyle changes are being made by individuals and families too. Using modes of transportation with lower emissions such as solar-powered cars and buses, growing food produce in backyards, and the reduction, recycling, using less water and reusing of waste materials are becoming more common place. Not to mention manufacturing and patronizing eco-friendly products in commercial and residential establishments. There are different kinds of eco-friendly products. Often called an eco-label, this identifies the product’s overall environmental quality based on its life cycle. This product could be goods or services. This label is given by a third party to a product which meets environmental criteria and can be multi-sectoral or multi-regional. Some examples of products that have been awarded an ISO Type I label are Nordic Swan of Scandinavian countries such as Denmark, Norway, and Sweden, Ecomark of India, Blue Angel of Germany, and EU Flower of European Union-member countries such as Spain, Belgium, and the Netherlands. This type is often called as sustainability labeling and shares Type I’s characteristics, albeit these have specific impacts such as agricultural practice or energy consumption. This type is applied to a particular sector such as that of appliances and agricultural commodities that consume energy. Some of these ISO Type I-Like certifications cover organic labels, Forest Stewardship Council (FSC), Marine Stewardship Council (MSC), a non-profit that sets standards sustainable practices for fishing and fishery companies. LEGO, for instance, has the FSC logo on all their packaging materials. This type is an informative, self-declared claims made by manufacturers, distributors or importers of products that are not verified by third parties and do not utilize accepted reference or pre-determined criteria. It is also, arguably, the environmental label which is least informative among ISO categories. A product which claims it is biodegradable without any definition of terms may not be compliant with ISO Type II labeling. All claims are required to be backed by readily available information from a third party like an independent test for biodegradability data from a laboratory compliant with ISO standards. Type II products require information explaining any claim’s reasons and most governments regulate these claims independently with legislation that protects consumers. Detail specific part or parts of any product or the process it refers to in a language that consumers will easily understand. Explain significance of benefits which may be obtained from the use of the product or process. Substantiate any and all claims made by the product or process with necessary documents, verified tests, etc. Be truthful and honest in disseminating information on the labels of the product or process. Intended primarily for use as a business-to-business or B2B communication tool, Type III does not “judge” a product and leaves that action to the consumer. This type reports its output as an EPD, short for Environmental Product Declaration, in compliance with standards of Product Category Rules. This ensures that a product’s EPD produced by different entities has the same category, data scope, and metrics. What is good about a product categorized as Type III is that it is subject to review procedures by the manufacturing product’s major stakeholders, with a report published in public domains by registrars that are country-based. This ensures consistency within a particular industry as well as enables consumers to compare different products using EPDs before making a purchase. Going green has changed the lives of people for the better and eco-friendly products have never been more in demand as today. By having greater awareness, people now know that they have choices on how to heat, travel, use water, and buy products manufactured in environmentally-sound processes. Shopping Tips for Going green is the new and better alternative to meeting requirements of daily living. This awareness leads to the practice of conservation such as turning off lights and building homes using eco-friendly materials. There are sustainable ways to building and furnishing a home with sustainable resources as much as purchasing items for household and personal usage. Ditch the plastic bathroom mats and get the Moss Carpet by Nguyen La Chang which looks and feels like grass. Made from plastazote, a kind of imputrescible foam, it comes with three different kinds of moss: island, forest, and ball. Your bathroom’s humidity ensures that this green and lush lawn grows indoors and underfoot. This same humidity from your daily rituals in the bathroom is the only maintenance for the Moss Carpet since the mosses thrive off of it. Even just taking a short shower provides so much efficiency for this bathroom carpet day or night. Designed by Benjamin Hubert using Portuguese cork blocks sourced from a wine cork-manufacturing company, the Float is a cork pendant lamp which can be installed in the ceiling as a lighting solution which is as elegant as it is eco-friendly. The cork’s surface emits a warm glow when it is illuminated. London-based Hubert launched his Float design in 2009 as an eco-friendly classic, simple design. While leftover dust volume results from its production, the same dust is used to create other agglomerated cork blocks to produce more lamps. The Float is stripped of detailing typically seen in lighting and has been praised for its innovative use of a highly-sustainable material like cork. Additionally, these eco-friendly dome-shaped lamps are not as fragile as traditional crystalline lights. No more lithium batteries for your clocks with Bedol’s water-powered clock’s ones. Capable of converting water ions into clean energy, the patented technology also includes a memory chip that is built in for time memory so there’s no need for resetting. It has the “Squirt” feature which you fill with water that can last for six months before replenishing. This “Squirt” has an on and off alarm and a control panel for your convenience and measures only 3.5 inches (height) by 4.5 inches (diameter). Consider the Bedol clock über chic in colors such as blue, charcoal gray, purple, orange, and green. At under $20, you can have a colorful and energy-efficient Bedol water clock in every room of your eco-friendly home. You read that right. The same cork that you find as sealants of wines, bulletin boards, and even heels of espadrilles is now a valuable material for eco chairs. Functional and stylish is what cork is all about when used to manufacture furniture like chairs, not to mention how sustainable and reusable this buoyant substance from the cork oak’s outer bark can be. The Sonoma Cork Club Chair with armrests and backs designed by Rodrigo Vairinhos of Neo Studios, stools made of agglomerate cork by Jasper Morrison which can also be used as side table and ottoman, and French designer Antoine Phelouzat’s Corky Chair of molded cork and chromed steel wires are only three examples of chairs which can be manufactured using recyclable light brown cork. Perhaps the ultimate action of going green is making your very own eco-friendly home. If you are on a budget, however, you may have to consider some factors to make this happen. First, you need to know that most building materials for creating an eco house may not come cheap. In case they do, consider the quality and durability. Sourcing building materials locally such as earth, straw, small diameter-sized wood, and straw, for instance, are sustainable construction materials that can cut your housing cost to rock bottom price tags. Depending on where you live, you may consider using wind turbines to generate energy. Here are several types of eco-friendly homes which use novel building methods that you may want to consider for yourself and for your family. This method, courtesy of military engineering, evolved from building structures with the use of sandbags that were resistant to bullets and grenade blasts for a century. Modern house use the same process basically: fill the bags with sand and then stack them. 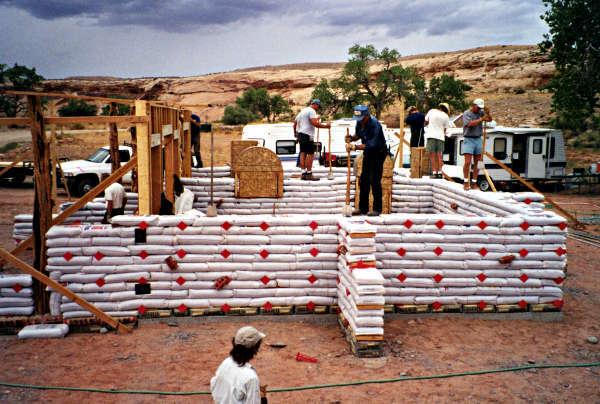 An earthbag building is resistant to tornadoes, molds, hurricanes, earthquakes, fires, rodents, insects, and floods. Extremely low in cost, with no need for expensive tools and equipment, all you need for your earthbag house are shovels, a ladder, buckets, and a garden hose. Even unskilled individuals can learn the construction step by step by watching available videos on YouTube. You can build any shape you want including roundhouses, vaults, domes or typical rectangular- or square-shaped houses. You actually help forest health in the reduction of forest fires when you use small diameter-sized wood from forests which have become overcrowded and fire-prone. You can get this kind of wood for your construction lumber instead of purchasing the much higher cost variety from building and construction supply stores. You can peel off the bark for use in a pole frame’s round, a stronger option than the typical sawn lumber which needs less processing. Do-It-Yourself (DIY) aficionados will have fun milling their very own wood for trusses, joists, trim, beams, cabinets, purlins, door and window frames, and furniture. Sustainably-harvested small diameter-sized wood is also more visually-arresting. Search the words “earth plaster” on the internet and see some of the most beautiful wall finishes. Contrary to the notion of a majority of people, earthen plaster is not all dull, dreary, and drab brown walls. The plethora of clay types, textures, and colors, in fact, seems almost limitless when you use earthen plaster that is really just clay and sand mixed in exact proportions. Durable and beautiful, earthen plaster can eliminate your need to paint your home and reduce your construction costs even more. Natural pigments are added to white plaster for colorful tints which you can create yourself from periwinkle to Carolina peach to sapphire or whatever shade you desire. Wide overhangs of the roof will keep snow and rain off walls to make the plaster last. Earth floors are not new to human civilization because poured earth floors have been utilized by many ancient cultures for centuries when wood floors and linoleum were unknown. Poured earth flooring takes much longer to dry and may be impractical in locations that do not have dry and hot climates than floors made from tampered earth dries faster. 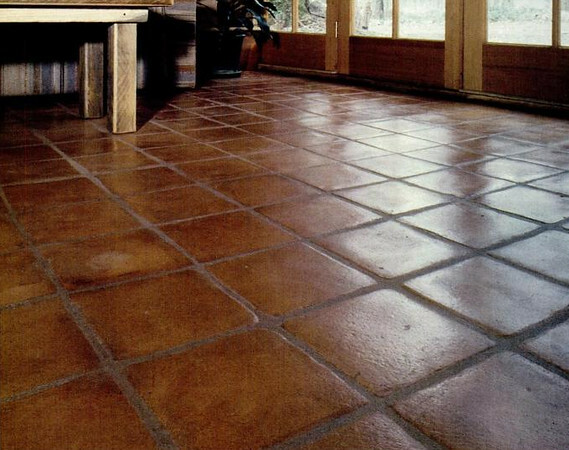 A tamped earth floor looks like leather once its construction has been completed and is now being used in customized homes. Such floors can be walked on two or three days after they have been installed. Do you think you can build your own tamped floor? The procedure is not all that difficult. Screen appropriate soil or road base through a mesh measuring three eights of an inch and spread this out at tampered level in layers of two inches. Repeat this process until you reach your desired height. Screen the top coat through a mesh measuring an eight of an inch with soil that you hand trowel and burnish with just the right amount of water for it to bond. Seal the floor with five coats of turpentine-thinned linseed oil after it has dried thoroughly. If you prefer to explore more options, you may find additional topics on sustainable home building and construction and more information on other low cost building methods and materials on the internet from various eco websites. Not all cleaning products that have the words “eco-friendly” on their labels are made equal. Terms such as “eco-safe” and “all natural” have no specific or legal definitions and products with those and similar words may still have VOCs or volatile organic compounds which cause respiratory irritations and, in some cases, even cancer. To ensure safety for you and your family, read the label on any household product that you intend to use before buying it. Bon Ami All Purpose Cleaner is an awesome, non-toxic, biodegradable, and does not contain VOCs or other chemicals which can combine and produce carcinogen-forming nitrosamines. Seventh Generation’s Disinfecting Bathroom Cleaneris a good buy – that disinfects using a derivative of the herb thyme. Unlike other bathroom cleaners, this one doesn’t contain harsh solvents. Only natural antibacterial ingredients are in Biokleen’s Bac-Out Multi-Surface Floor Cleaner. Simply put, there are no solvents or VOCs which can both emit hazardous fumes in this cleaner. Unlike most dishwashing detergents, chlorine- and phosphate-free, Ecover Automatic Dishwashing Tablets Zero, 25 Count, 17.6 Ounce, will not release dangerous fumes that may react with chlorinated water. Construction and architecture are activities which contribute significantly to carbon emission. That’s why modern green homes as alternatives have become increasingly popular. These use the best kind of technologies to make their construction more durable as much as comfortable, stylish, and function. This means the home’s design is either completely below ground or partially below the ground. 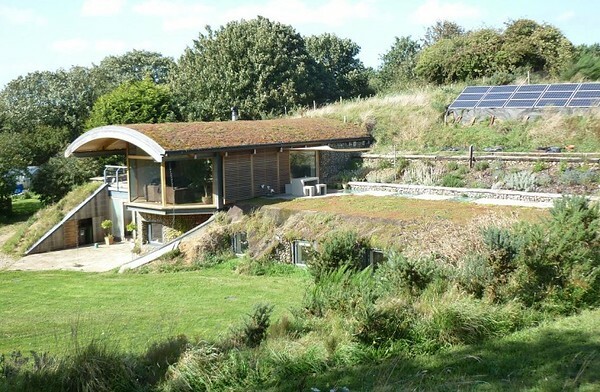 Promoted by Malcolm Wells, the earth sheltered home makes use of surrounding plant life and soils as an energy source. Unusually designed, the materials for the recycled modern home include reusable trash, bottles, old tires, cans, and shipping containers, among others. Argentina’s La Casa de Botella, for instance, was constructed using six million beer bottles which have been recycled. The best thing about a recycled modern home is that it is truly affordable and can be readily customized to the resident’s desire. 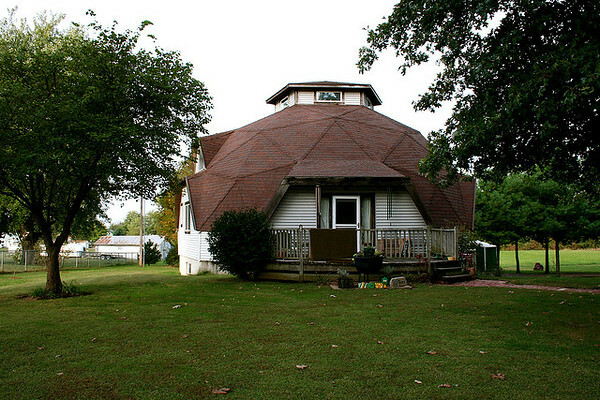 Bucky Fukker’s design has a geodesic dome’s half circle with interconnected triangles that make use of lesser materials to add more space to the home’s living area. Organic by nature, Fuller designed the home using the Earth’s natural shapes which manufacturers sell at reasonable prices. Sturdy infrastructure and huge space at economical rates are good starters for an eco home. From Arizona and then to Washington and New York State, tract housing using prefab materials have become more affordable and energy efficient. Built relatively smaller than other eco friendly houses, this type is nevertheless non-toxic as well. Ideally, prefab materials make no use of synthetics, are resistant to decay and insect attacks, and can withstand heavy rains and high winds. The concept of houses made from, literally, the Earth’s soil has been around in Europe and Asia since the beginning of time when man left the cave and built a mud home. As mentioned earlier, this combination of sand and clay can make bricks used as walls to provide excellent insulation and durability in rough weather. The GO Home in Belfast, Maine is the state’s first ever certified Passive Home. GO Logic designers constructed a model that has zero energy which cost only as much as any standard home. According to GO Logic architect Matthew O’Malia, the idea of a Passive House sounded unattainable and even absurd. 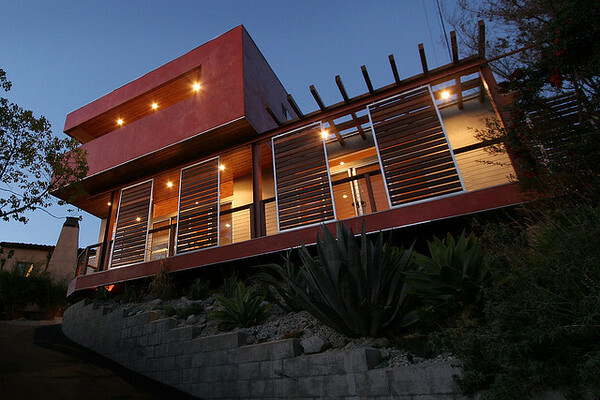 After its completion, it received a LEED qualification for Homes Platinum. The prototype is part of the 36-unit Belfast Cohousing and Ecovillage project which has phase two underway. The structure’s shell has the ability to reduce heating load by as much as 90% and a rooftop solar array takes care of the other heating requirements. Body and cooking heat provide the warmth in the GO home. The Tremont Pointe Project in Cleveland, Ohio is one of several multi-family projects that are affordable with 190 units for former tenants of public housing, people who seek market-rate housing, and residents who have low income generation. It has a community space of 3,000 square feet with access to bus routes, the Tremont Health Clinic, and other private and public establishments. Manufacturers and businesses are developing new and innovative ways to integrate into their respective brands as the growing number of consumers is becoming more and more environmentally-conscious. Here’s a quick rundown (in no particular order) on the top ten green products that have proven to be efficient in lessening carbon footprints. Large balls with spikes on the surface, these help separate clothes for quicker drying. These rubber balls also keep clothes soft and are reusable to boot, rendering the use of conventional dryer sheets practically obsolete and saving you money along the way. The only downside is that they can be noisy, a fact that you can overlook if you do your chores in the morning when everybody’s up. Self-sustaining technology makes use of solar panels, which have originally been thought of as limitedly useful in rooftops, to power other devices. The Etón Rukus wireless Solar speakers, for instance, are a sleek and unique sound system primarily powered by sunlight to give top rate auditory performance. Solar panels are embedded seamlessly on the system’s top for optimal sunlight absorption. No more vampire power loss to jack up your utility bills with green vampire power outlets which allow cut-off of all power to appliances, gadgets, equipment, and other electrically-operated devices with just a turn of the dial. Currently available in retail and online stores, these green outlets eliminate the issues of conventional varieties that continue to consume power even when appliances are turned off. Mini Hand paper shredders now serve as an eco-friendly alternative to electronic models. This shredder’s “hands” need only to be twisted for activation, are easy to use, portable, and an excellent way to conserve energy. After shredding all that load of paper, you can recycle it as new paper or compost. Although the portability of GPS units has proven indispensable to drivers for more than a decade, none has yet come up with a configuration for eco-friendly usage in mind. Until the Pama Eco Navigator Satellite, that is. This navigation system is the lone GPS unit that helps the car owner minimize his or her vehicle’s carbon footprint. Detailed diagnostic of the car’s performance. Automatic log of all routes driven. This free downloadable application for mobile phones called Eco Label – with a streamlined and seamless user-friendly interface. From Consumer Reports has numerous lists of products which have been certified green to help shoppers make informed purchase decisions and avoid being scammed, duped, or coerced by false advertising and unethical marketing practices. The Voltaic Generator Solar Laptop Charger is an array of top rate quality solar panels mounted on a waterproof casing with specifically-calibrated batteries that can absorb solar power efficiently and which you can use to power or charge all your household’s mainstream electronics. The stylish-looking case has a cool appeal even for solar panels. Of course these solar-powered water heaters are not entirely news to consumers because of its widespread popularity. Superior to their conventional counterpart, the solar powered-water heater has a higher overall efficiency rating, longer unit lifespan, and money-saving performance that can vastly reduce a household’s energy consumption bill by as much as 70%. In times past, your refrigerator was the single largest energy using appliance in a home, but today it is flat screen tv’s, DVR & home video game consoles. Look for a television that has an Energy Star certification to ensure that what you purchase comes from a manufacturer committed to the environment through energy efficiency. TV models released in the past ten years have been designed to require less power to function properly, a much appreciated move since TVs are an electronic device used by a majority of households for long periods. LED light bulbs contain no toxic chemicals like mercury, produce zero ultra-violet (UV) emissions, have longevity (use of 60,000 hours and seven year lifespan), will not heat up, will not potentially cause burns and fires, and can withstand vibration, extreme temperature, and shock. The use of LED lights Bulb in your household is the first easiest step in making your home environmentally-friendly. 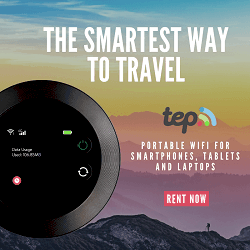 How to Deal With Mold Infestation in your Airbnb Rental?